Ireland will help the UK secure a delay to Brexit if Theresa May's government comes forward with credible reasons for seeking one. A senior member of her Cabinet, Foreign Secretary Jeremy Hunt, said yesterday an extension to Article 50 may be needed if a Brexit deal is not agreed until late March. Mr Hunt said it was "difficult to know" if negotiations with Brussels would run until the 11th hour, but confirmed "extra time" may be needed to pass legislation. His comments were quickly downplayed by the UK prime minister's office, which said her position was "unchanged", adding: "We will be leaving on March 29." But Mr Hunt's suggestion was echoed by Labour leader Jeremy Corbyn, who said it was "possible" Article 50 would need to be extended in order to secure a deal. A potential delay would receive a mixed response from the EU but Dublin would offer support if it helps get a deal across the line. 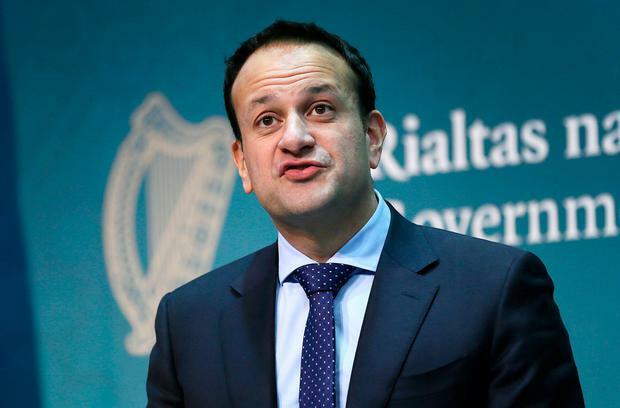 Taoiseach Leo Varadkar has already privately told Fine Gael TDs he would "not have a problem with any extension to Article 50". Mr Hunt told the BBC: "I think it is true if we ended up approving a deal in the days before March 29, then we might need some extra time to pass critical legislation, but if we are able to make progress sooner then that might not be necessary. "We can't know at this stage exactly which of those scenarios would happen." He said it was still possible to reach a deal and the UK government was not ruling out any potential solutions, including a technological solution to solve the Border question. Meanwhile, Mr Corbyn said: "It is possible that there will have to be an extension in order to get an agreement because we cannot leave the EU on March 29 without an agreement. "Crashing out would mean problems of transport, problems of medicine supply, problems of supply to the food processing industry that does just-in-time deliveries - and that simply is not acceptable."